Entry for the 30th anniversary Airlie Beach Race Week has opened, and Matt Allen is the first of three high profile owners announcing their intention to take part – he is entering his newest Ichi Ban, winner of the 2017 Rolex Sydney Hobart Yacht Race. Ichi Ban, meaning No. 1 in Japanese, was launched in October lived up to her name early on, taking line and overall honours in her maiden event, the Newcastle Bass Island Race, ahead of winning the Sydney Hobart in which she beat the fastest time for a conventionally ballasted boat (held since 1999) and smashed the fastest time for yachts 18.5 metres and under (held since 2008). “We’ve always enjoyed Airlie Beach Race Week, its’ unique,” Allen said today. “We’ll be doing Hamilton Island too, and as it’s difficult to get crews to do both, we will have some crew changes. “We’re really looking forward to Airlie - we’ve enjoyed it so much over the years. It’s different sailing to Hamilton Island and it’s relaxed and fun. We’ve been big supporters for a long time. Our crew house in Airlie is nearly finished being repaired after the cyclone, so it will be good to get back together there,” Allen, the President of Australian Sailing ended. In January, the Botin designed TP52 conclusively claimed Division 1 of the Australian Yachting Championship in Melbourne, winning all eight races. Festival of Sailing organisers from Whitsunday Sailing Club are anticipating Ichi Ban will be a draw card for other IRC racing yachts coming for Race Week, to be held from Friday 10th August, finishing on Thursday 16th August. Last evening, other big names from Sydney’s offshore racing scene, Darryl Hodgkinson and Ray ‘Hollywood’ Roberts also confirmed they will be on the start line. 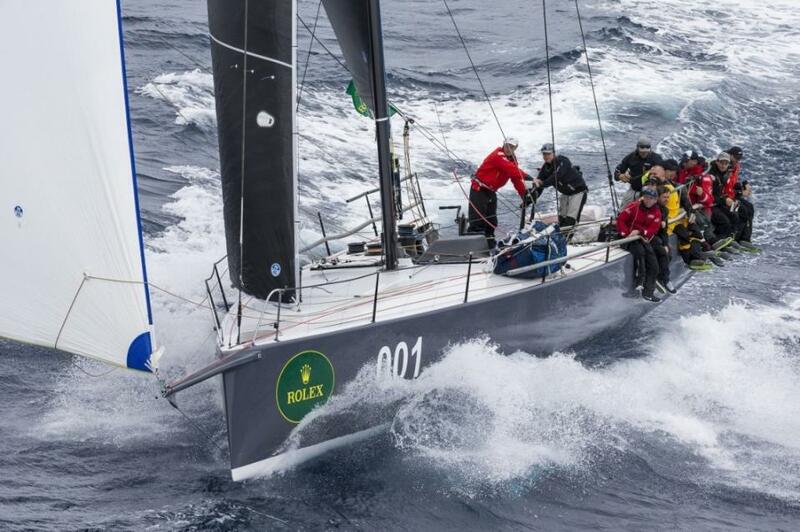 ‘Doctor Darryl’ is bringing Victoire, the Carkeek 40 he imported from the USA last year to replace his 2013 Sydney Hobart winning Cookson 50, Victoire. “There are two things I particularly love about Airlie Beach Race Week,” Hodgkinson said. “It’s a great stand-alone event and I love the courses around the islands, the easy-going atmosphere, tourism, good restaurants and families have a great time. Above all, it’s welcoming and friendly – it’s a slice of Australiana. “The other attraction is we find it pays to race at Airlie Beach as it gears you up for the rest of the regattas – it gives you a head start. I’ve won at Hamilton Island two years in a row with my Beneteau 45 doing that. We’re doing the full circuit this year, so I hope racing at Airlie pays off again,” he ends. Ray Roberts, the original owner of Hodgkinson’s Sydney Hobart winning Victoire, which he also sailed to notable results, is undecided as to which boat he will arrive with – having recently purchased two distinctly different boats. And similar to Hodgkinson, one is a new 40 footer – from the design board of Botin. In the past, Botin and Carkeek worked together – so these two owners have much in common when it comes to their racing boats. “It will depend on the courses - and the weather forecast will also come into play,” said the Sydneysider, whose other choice is Checkmate of Hollywood, from the IOR old school of the seventies. Roberts debuted the new Team Hollywood at January’s Festival of Sails in Victoria, finishing second to Ichi Ban, then stayed on for the 2018 Australian Yachting Championships, finishing fourth overall in Division 1. From the USA, the eye-catching beauty he’s renamed Checkmate of Hollywood is yet to be seen at a major event. Built in 1978, she is a varnished timber Doug Petersen design, built in San Diego by the famous Carl Eichenlaub, updated in 2000 to make her quick and comfy. Racing is across multiple divisions, including IRC, PHS, cruising, sports boats, one design and multihulls, and takes place around the breathtaking islands of the Whitsundays and on Pioneer Bay. Onshore too, organisers are ramping up. According to Event Chairman, Ross Chisholm, the focus is on providing a fun and memorable off and onshore experience for entrants and their followers. And growing corporate support is making an ever-improving program for the week- long onshore festival possible. “The event can’t be staged without the backing of a range of sponsors, from major partners through to local business supporters,” Chisholm said.